A potent massage oil brewed from hand-picked herbs from the Eastern Ghats. 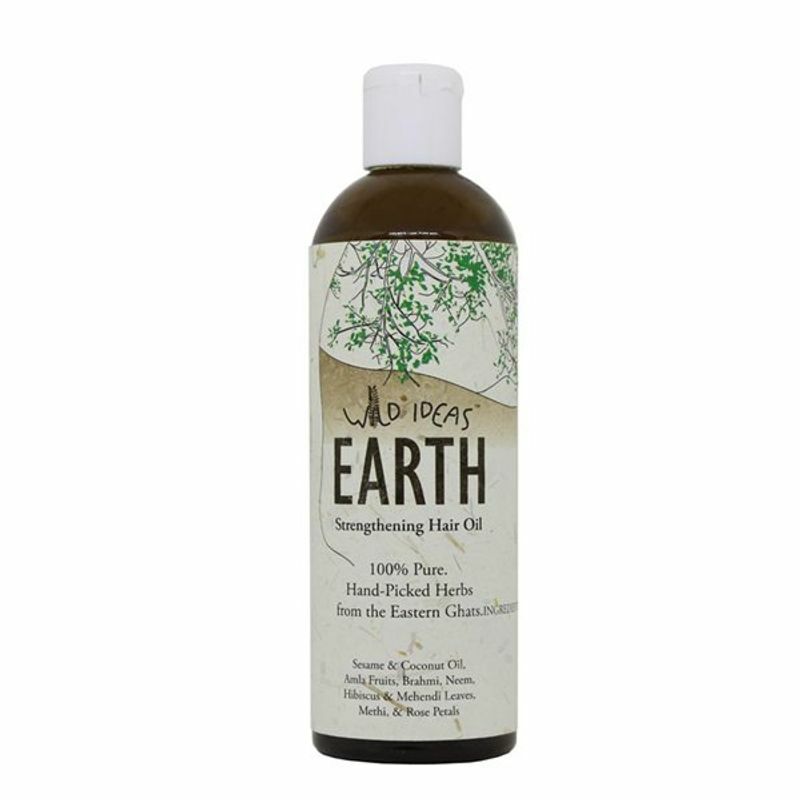 Wild Ideas Earth Hair Oil deeply conditions and nourishes your hair from root to tip. Regular usage even on a weekly basis improves circulation, strengthens roots, promotes hair growth, soothes the scalp, reduces dandruff, slows down premature greying, and generally improves the tone and structure of your hair from the root outward.